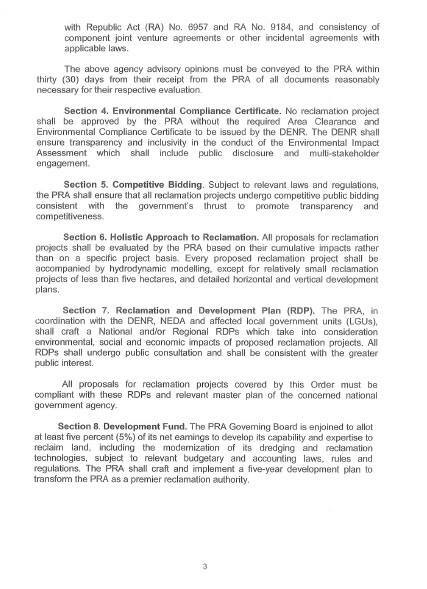 President Rodrigo Duterte has decided to yank back control of approving reclamation projects from the National Economic Development Authority (NEDA) amid opposition to 43 land filling projects in Manila Bay, including the project of Davao-based businessman Dennis Uy. 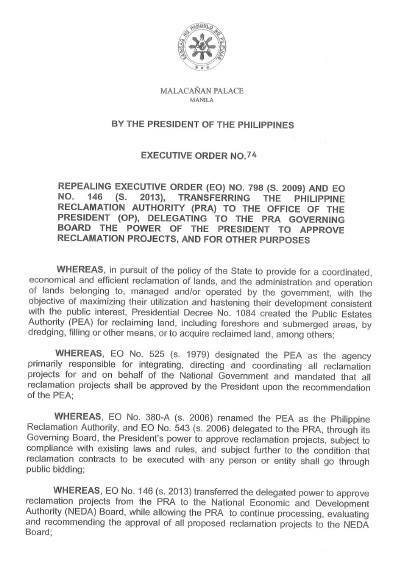 On February 1, Duterte signed Executive Order No 74 which transferred the power to approve reclamation projects from NEDA to the Philippine Reclamation Authority (PRA) under the Office of the President (OP). 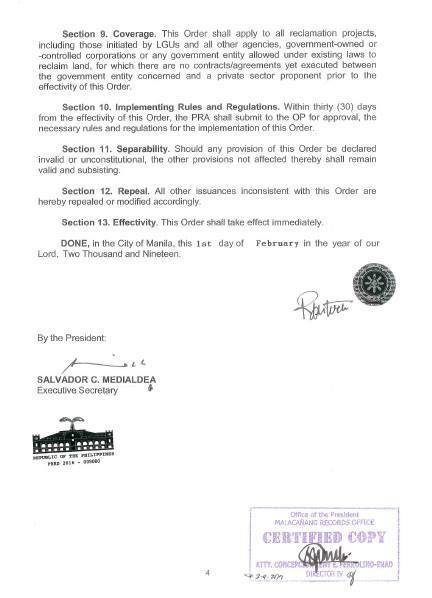 The EO was signed a day after the Makabayan Bloc issued a House resolution seeking to suspend the 43 reclamation projects covering more than 32,000 hectares in Manila Bay. Among these projects are the 265-hectare “Pasay Harbor City” of Duterte crony Uy and several projects approved by Manila Mayor Erap Estrada. 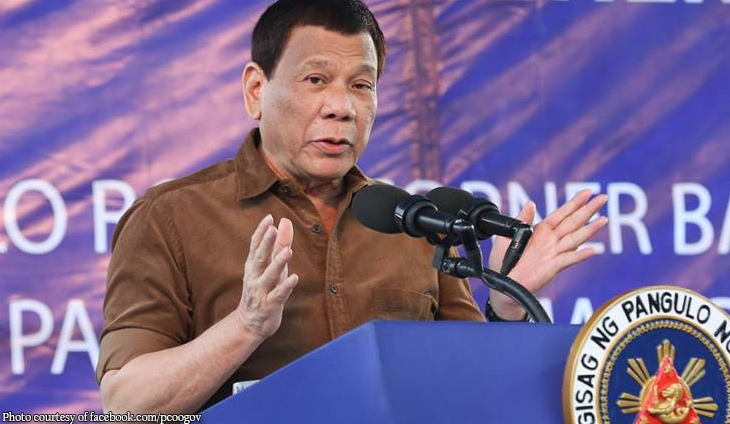 Duterte cited the need to “rationalize” the processing of reclamation projects to make these more sustainable economically and environmentally. 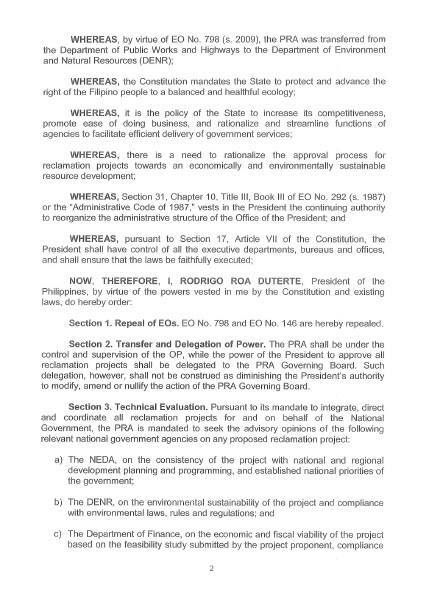 Based on the EO, PRA would have to get feedback from Neda, Department of Environment and Natural Resources, and Department of Finance on all reclamation plans.